Edited by Florence Selder, PhD, RN, FAAN, et al.  This is a book about human loss — something that everyone in the world faces at one time or another. Whether physical or psychological, significant loss may be caused by death or illness or by any other major change, tragedy or disaster. Healthcare professionals, for example, especially those who work directly with seriously ill and dying patients, are faced with potential losses every day. Severe losses can cause feelings of despair, loneliness, bitterness, helplessness and hopelessness. The experience of a particularly severe loss can throw a person into a period of critical transition and disruption which, if not dealt with or worked through, can sometimes last indefinitely. Some people never recover from a major loss, causing them to live the rest of their lives in misery. Other people are able to transform the loss into something positive, ultimately turning them into stronger and better people. Either way, losses can be debilitating and recovery takes enormous courage. While there is no magic cure for getting over loss or even adjusting to it, one surprisingly simple method that has helped many people is talking and listening to others who have experienced a similar incident – the people helping people dynamic known as self help. By reading these personal accounts, readers will be able to discover how others felt and reacted to a loss, how they solved their problems or how they did not. 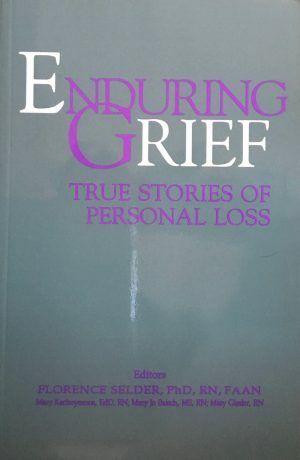 Enduring Grief: True Stories of Personal Loss is a remarkable collection of 67 stories, each written by a different anonymous author, many of whom are nurses and other healthcare workers, about personal losses they have lived through. For those in the helping professions whether nurse, therapist or teacher, this book present, a gold mine of information on helping methods in the form of case studies. The instruction by personal example offered by the storytellers will help readers learn how to cope with their own losses and also how to help others. With the companionship of the storytellers, readers will obtain a sense of belonging, diminishing the sense of alienation that is typical of loss and grief. The stories are grouped into four general categories: the first addresses overwhelming loss that is caused by death; the second includes stories by people who have been so overcome by loss that they have not yet or may never recover; the third includes stories by people who were actually empowered by a loss; and the fourth concerns other kinds of painful losses that occur in our lives, experiences that will many people will easily identify with. The losses described in all four categories weave a tapestry of human experiences that will give readers comfort, warmth and food for thought. While many of the stories are written by nurses, physicians, social workers, psychotherapists and teachers, there are also stories written by secretaries, lawyers, a reporter, a policeman and a prison inmate. All of the storytellers have first-hand knowledge of loss and they share their stories with the hope that they might be able to help others. This book covers a lot of ground and will be invaluable to many different kinds of people in many different ways. Because one of the most overlooked areas of nursing is job-related stress, nurses and nursing administrators will welcome the many stories written by nurses and other caregivers. Psychiatrists, social workers and therapists, as well as teachers in these fields, who have long needed a book of case studies of this sort, can use the narratives in many creative ways. The book will also be excellent supplementary reading material for a variety of classes. And the general reader will have the companionship of an entire book full of different people with different experiences to learn from.